The International Boat Service Group is preparing to open the IBS Yachting Point in Cagliari. It will be a marina specially designed to accommodate large boats, offering appropriate technical and logistical services and - thanks to the importance of the city with its moorings - the possibility of accommodating crews for long periods of time. The strategic position of this Sardinian city makes it an ideal point of reference for technical stop-offs for yachts heading to the eastern Mediterranean or those coming from there and heading towards the south of France or the Iberian coast. 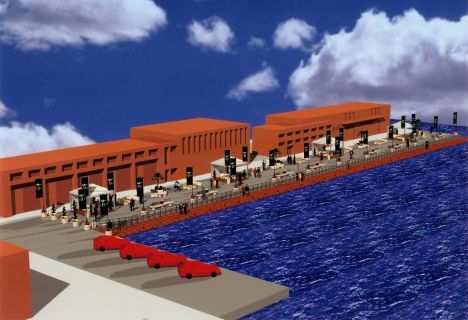 The pier is right in front of the very central via Roma and can host 18 super-yachts of between 20 and 40 metres, allowing them to dock right at the heart of the city and enjoy all the services found on land either inside or outside the port. All this, at just a few hundred metres from the train station and a few kilometres from the airport. It is also well served by public transport and there is a taxi service close by. Undoubtedly for the yachts in transit, this means yet another good reason for stopping off in the ancient Sardinian city, where, as well as finding the support needed for cruising, they will find numerous tourist opportunities of considerable historical and cultural importance, and a great number of chances for enjoying the nightlife. With this initiative, IBS is getting into the sector dedicated to maxi-yachts, earning itself a particularly strategic place, like the South of Sardinia, that represents an increasingly sought after meta for numerous super-yachts either in transit or permanently based there. IBS Yachting Point will adequately meet requests with its assistance and services. It will all be operative as of March 2006 and the work to welcome these large yachts is already underway. Some of the services in the marina area include the distribution of wi-fi signals for fast internet link-ups, on shore assistance, constant link-ups with companies that can offer high quality technical and logistic services, as well as the well known ability of the whole group to guarantee our clients whatever service they need.